Lf plaza collaborated with Hong Kong based fashion blogger V for Visala. 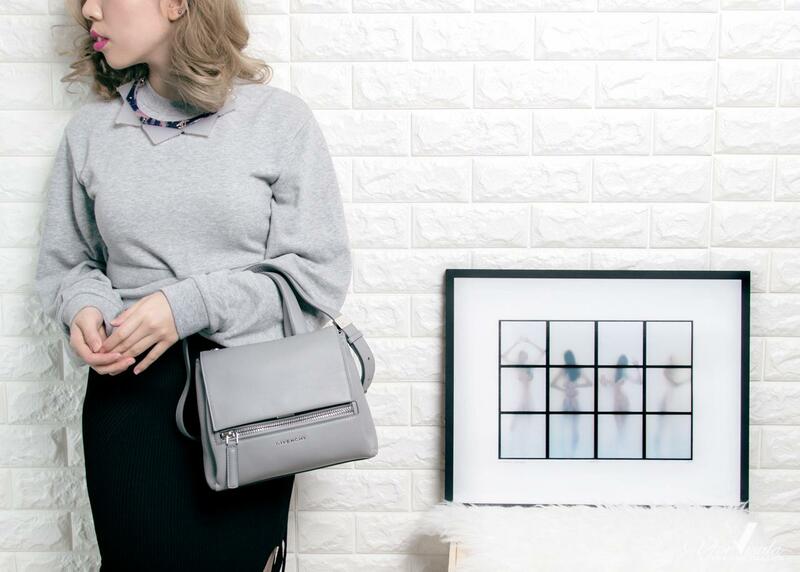 Learn more about why- The Givenchy Pandora Pure Bag is her pick of the month. The minimal monochromatic shades has been conquering my wardrobe, which I believe I’ll never have enough of it. 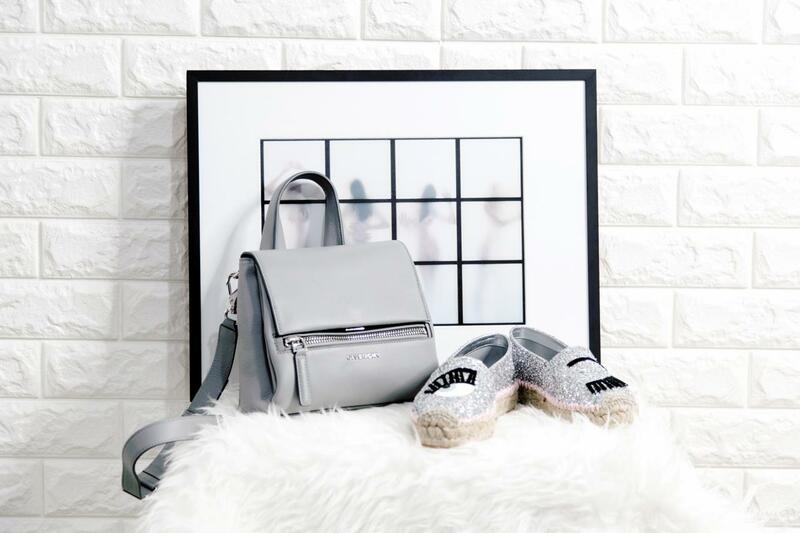 Now that I have extended my black and white obsession from apparel to accessories, here I would like to talk about my favourite bag of the month — The Givenchy Pandora Pure bag. Through the crazy exposures on social media from different bloggers around the world, I can firmly state that you must be familiar with The Givenchy Pandora Box bag, which comes from the same series. My favourite one, on the other hand, has a more sporty silhouette. 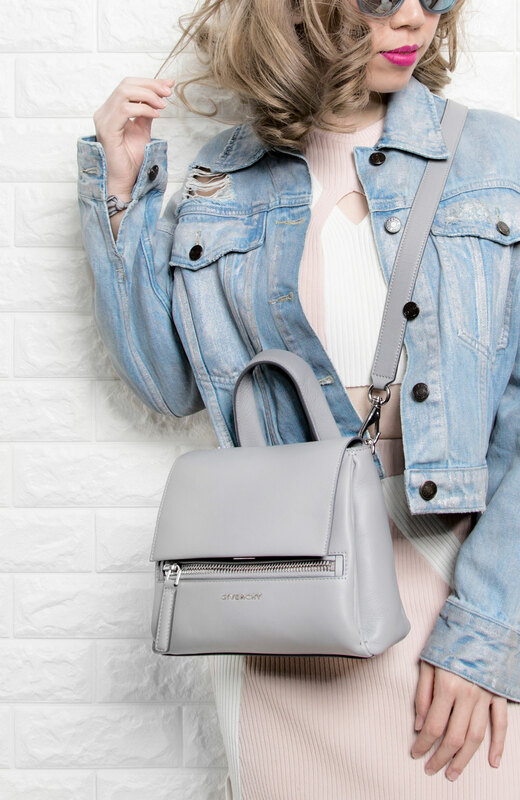 Inspired from rectangular boxes, Pandora Pure features a thicker adjustable shoulder strap that comes in handy, leaving my hands free with my full needs on phone or camera. Together with the top handle, it has encouraged me to also use it elegantly with one arm through the handle. There’s also a hidden fasten that keeps your possessions safe. On top of that, the soft calf textured leather not only tempts my puff Sumizi to give a deep sniff of it, but also myself to hug tight like a pillow on my hand. Need further ideas on how can you style this bag? Here’s also my latest video featuring 19 Spring outfits based on a limited amount of clothes. Enjoy!